The murders that took place in Norway on July 22 were heartbreaking and beyond disturbing. However, opportunities for learning and enhanced human care almost always present in the wake of such horror. Let’s direct our attention to trauma-healing. Counseling Saturation: The Best Option? Knee-jerk reaction would have us recommend hours upon hours of counseling for anyone caught in the immediate aftermath of a tragic event. I mean, why wouldn’t you want to aggressively apply the ointment and bandages right away? But we’re not talking flesh wounds here. Overwhelming an already overwhelmed individual with well-intentioned intense counseling in the aftermath of severe trauma isn’t the way to go. Of course, there’s never anything wrong with letting someone know you’re there, and you care. But it’s crucial to give the individual the space and time to initiate and work their natural processes of recovery. It’s about the freedom to determine one’s own needs. Psychologist Peter A. Levine continues to do wonderful trauma-healing work. He calls it Somatic Experiencing. Levine cites the curious activity of a wild animal of prey after it survives the chase of its life. There’s a physical “shaking-off” process, which seems to dispose of unused survival energy. It’s intended, and it works. Levine posits humans have the same sort of inherent capability, but so often our advanced cognitive abilities get in the way of its implementation. In short, our thinking once again gets in the way. And the result is long-term emotional, mental, and physical illness. And I believe that’s why there’s merit and value in affording someone the time and space to initiate and work their on-board insight and recovery mechanism. Its the very workings of resilience. By the way, here’s a link to the first in a series of two articles I wrote on Levine’s somatic experiencing. 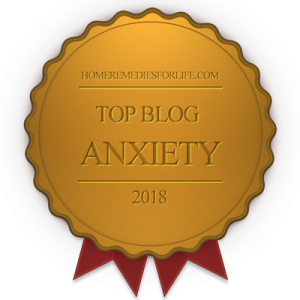 As difficult as they are to accept and endure – responses of fear, shock, terror, rumination, nightmares, and more are considered par-for-the course during the first month post-trauma. Perhaps they’re part of our human “shake-off” process. However, in 20-30% of cases these phenomena aren’t going to be the building-blocks of lasting resolution. And feelings of guilt, fear, and loss will become overwhelming. Flashbacks, more advanced sleep issues, and other emotional, mental, and physical symptoms may present. And now it’s time for counseling. I wish I could tell you there’s no need for advancement in trauma-healing strategies and techniques. But the realities of wars, natural disasters, and the work of the misguided make that impossible. So to the people of Norway, and those impacted worldwide – please know your loss, horror, and pain won’t go for naught. We’ll learn from it, and become more capable of providing just the right care for the next woman or man caught in the aftermath of tragedy. Thanks to msnbc.com for the reference material. 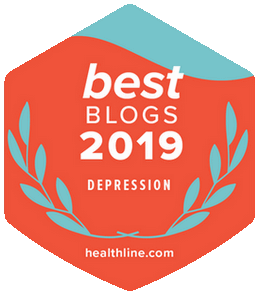 To catch a listing of all chipur articles on the psychology of depression, anxiety, and bipolar disorder please click here.